Super Mario War is a Super Mario multiplayer game. The goal is to stomp as many other Marios as possible to win the game. It's a tribute to Nintendo and the game Mario War by Samuele Poletto. 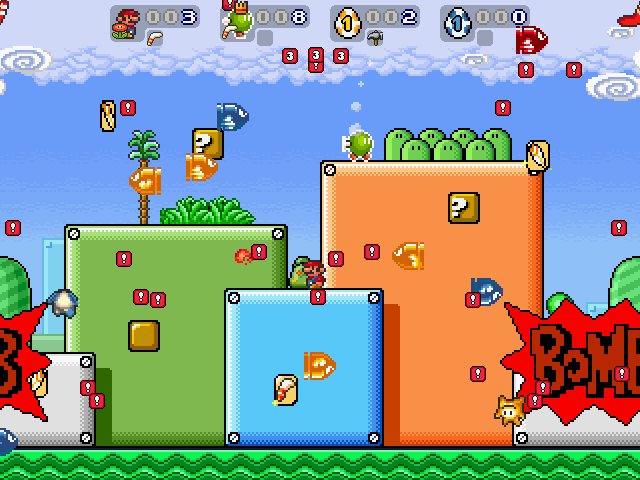 The game uses artwork and sounds from Nintendo games. We hope that this noncommercial fangame qualifies as fair use work. We just wanted to create this game to show how much we adore Nintendo's characters and games. It's nice that you ported Super Mario War to the Pandora, but the version here is NOT 1.7 AFE, it's 1.8 Beta 2.